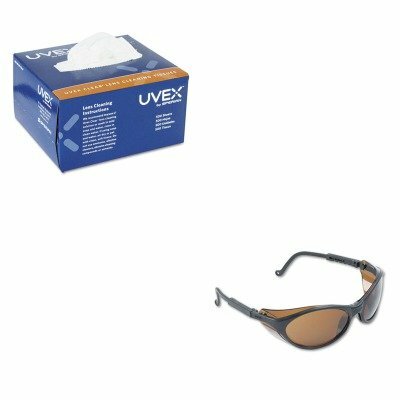 Uvex Clear Towelettes are handy pocket-sized pre-moistened cleaning towelettes specifically formulated for anti-fog and scratch resistant hardcoat lenses. 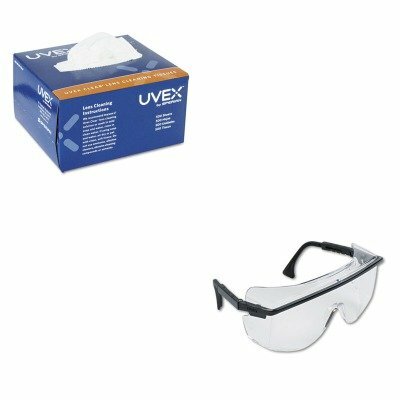 Pocket-sized Uvex clear S468 lens cleaning novelettes are ideal for workstations or off-site locations. Clean safety Glasses, Goggles, face shields and more with this Pack of 100 individually wrapped clear lens cleaner. Pocket-sized lens cleaning towelettes. ;Pre-moistened towelettes with powerful Uvex Clear? 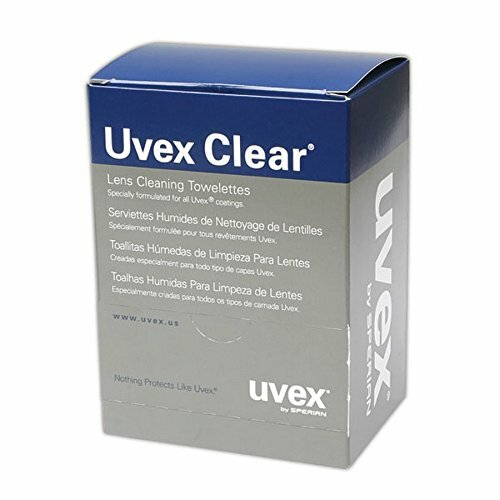 Lens Cleaning Solution. ;Convenient, pocket-sized wipes. ;Specially formulated for anti-fog, scratch-resistant hardcoat lenses. ;Won't streak or scratch lenses. 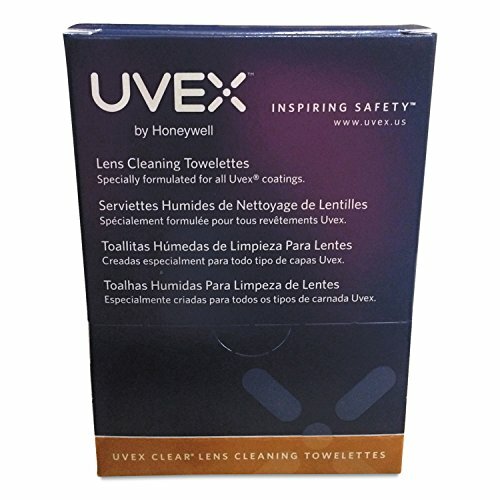 Uvex by Honeywell Lens Cleaning Moistened Towelettes, 100/Box Pre-moistened towelettes with the power of Uvex Clear Lens Cleaning Solution. Convenient, pocket-sized wipes can travel with you anywhere. Specially formulated for anti-fog, scratch-resistant hardcoat lenses. Won't streak or scratch lenses. Packing Type: Box; Wall-Mountable: No. Specially formulated for anti-fog, scratch-resistant hardcoat lenses. lt;stronggt;UVXS1603lt;/stronggt;lt;BR/gt;Uvex Bandit Wraparound Safety Glasseslt;BR/gt;The contemporary, sporty frame wraps around for added protection and style. Adjustable temple length allows various users to find ideal size for maximum comfort. Style: Wraparound Frame Color: Black Frame Material: Nylon.lt;BR/gt;lt;BR/gt;lt;stronggt;UVXS468lt;/stronggt;lt;BR/gt;Uvex Bandit Wraparound Safety Glasseslt;BR/gt;Pre-moistened towelettes with the power of Uvex Clear Lens Cleaning Solution. Convenient, pocket-sized wipes can travel with you anywhere. Specially formulated for anti-fog, scratch-resistant hardcoat lenses. Won't streak or scratch lenses. Packing Type: Box. lt;stronggt;UVXS3960Clt;/stronggt;lt;BR/gt;Uvex Stealth Antifoglt;BR/gt;Low-profile design for chemical splash and impact protection. Uvextreme AF lens coating provides antifog, antiscratch, antistatic and anti-UV protection. Prescription insert available. Meets ANSI Z87.1 and CSA Z94.3 standards. Adjustability Features: Yes Antifog: Yes.lt;BR/gt;lt;BR/gt;lt;stronggt;UVXS468lt;/stronggt;lt;BR/gt;Uvex Stealth Antifoglt;BR/gt;Pre-moistened towelettes with the power of Uvex Clear Lens Cleaning Solution. Convenient, pocket-sized wipes can travel with you anywhere. Specially formulated for anti-fog, scratch-resistant hardcoat lenses. Won't streak or scratch lenses. Packing Type: Box. lt;stronggt;UVXS2500lt;/stronggt;lt;BR/gt;Uvex Astro OTG 3001 Wraparound Safety Glasseslt;BR/gt;Easily fit over most prescription glasses and protect workers eyes from dangerous particles and chemicals. The scratch-resistant, Ultradura hardcoated polycarbonate lenses resist impact and absorb 99.9% of UV rays. Adjustable temple length allows various sizes for customized comfort. Style: Wraparound Frame Color: Black Frame Material: Plastic.lt;BR/gt;lt;BR/gt;lt;stronggt;UVXS468lt;/stronggt;lt;BR/gt;Uvex Astro OTG 3001 Wraparound Safety Glasseslt;BR/gt;Pre-moistened towelettes with the power of Uvex Clear Lens Cleaning Solution. Convenient, pocket-sized wipes can travel with you anywhere. Specially formulated for anti-fog, scratch-resistant hardcoat lenses. Won't streak or scratch lenses. Packing Type: Box. lt;stronggt;UVXS2451lt;/stronggt;lt;BR/gt;Uvex Tomcat Safety Glasseslt;BR/gt;Sleek safety glasses have a sporty and stylish appearance. Adjustable nose pads increase comfort. Durable, anti-scratch coating enhances longevity. Soft temple tips keep glasses comfortable for extended wear. Lightweight, durable frame. Eyewear meets ANSI Z87 high impact standard. Style: Wraparound Frame Color: Gun Metal Lens Material: Polycarbonate.lt;BR/gt;lt;BR/gt;lt;stronggt;UVXS468lt;/stronggt;lt;BR/gt;Uvex Tomcat Safety Glasseslt;BR/gt;Pre-moistened towelettes with the power of Uvex Clear Lens Cleaning Solution. Convenient, pocket-sized wipes can travel with you anywhere. Specially formulated for anti-fog, scratch-resistant hardcoat lenses. Won't streak or scratch lenses. Packing Type: Box. 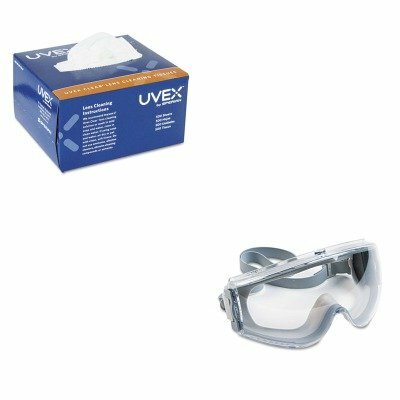 Uvex S462 Clear Lens Cleaning Tissues, Safety Glasses Cleaner Sheets, 500/Bx. 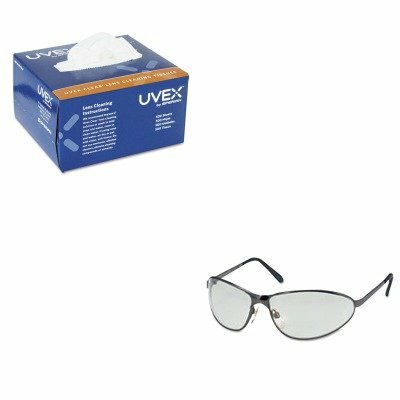 See how Clarity Defog It anti-fog towelettes make is easy to apply anti-fog protection on eyeglasses, safety glasses, goggles and faceshields. No wonder it's used by the military around the world! 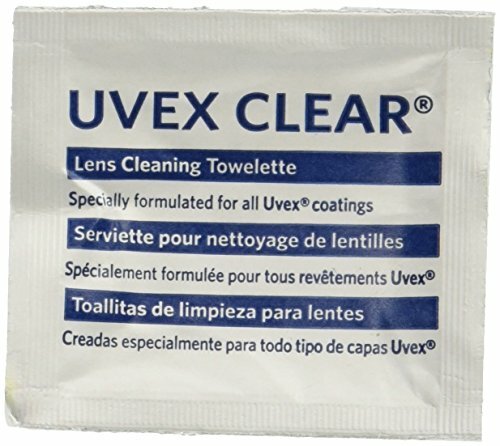 Want more Uvex Lens Cleaning Towelettes similar ideas? Try to explore these searches: Large Quarter Sphere, Water Jet Cleaning, and Full Size Oak Bed.